From the author of the New York Times bestselling Jedi Academy books comes a hilarious graphic novel series about two young cave kids living 40,000 years ago. Includes extra information about Neanderthal life that's sure to appeal to future paleontologists and science phobes alike! 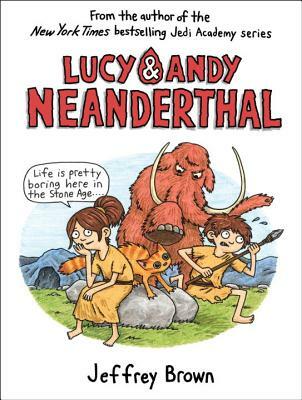 And don't miss Lucy and Andy's next outing, Lucy & Andy Neanderthal: The Stone Cold Age -- coming soon! Jeffrey Brown is the author/illustrator of the bestselling Jedi Academy series and Chronicle’s Darth Vader series. He resides in Chicago with his wife and two sons. You can visit him at jeffreybrowncomics.com.